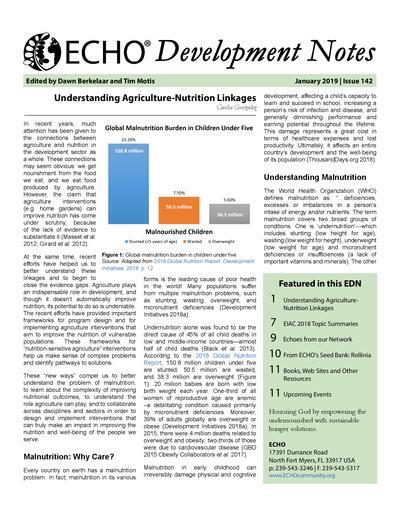 At the center of our work is ECHO Development Notes (EDN), which we send to thousands of people in over 160 countries. 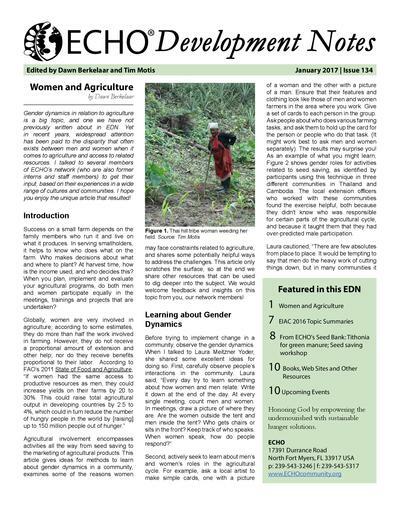 In EDN we share the most helpful, practical information that we come across about growing food under difficult circumstances. 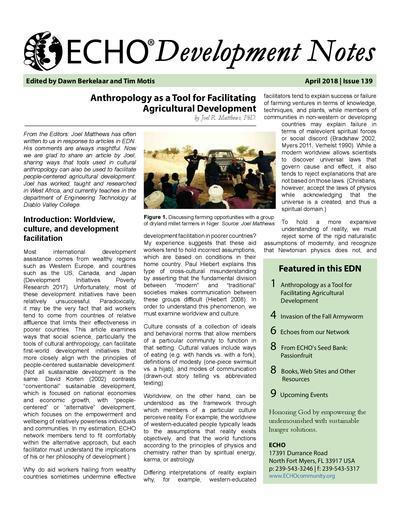 Within each issue you'll find featured techniques, practices, information and experience to help guide your work in tropical and subtropical agricultural development. 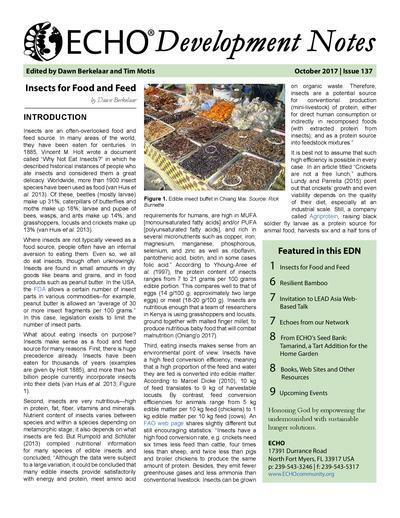 Also in EDN are "ECHOs from Our Network," "From Our Regional Impact Centers," "From Our Seedbank," and more. Issues #1-51 were compiled in the 1990s into the Amaranth to Zai Holes book, which is now available through Amazon or you may read it online for free here. 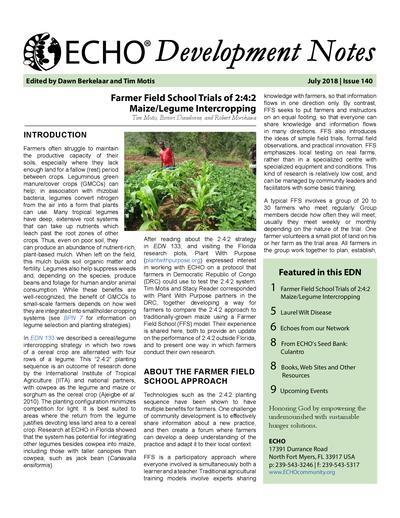 Also, Agricultural Options for the Small Scale Farmer, ECHO's most recent book, expanded on the foundation from Amaranth to Zai Holes by covering EDN 52 through 100, with new articles from outside contributors just for the book. 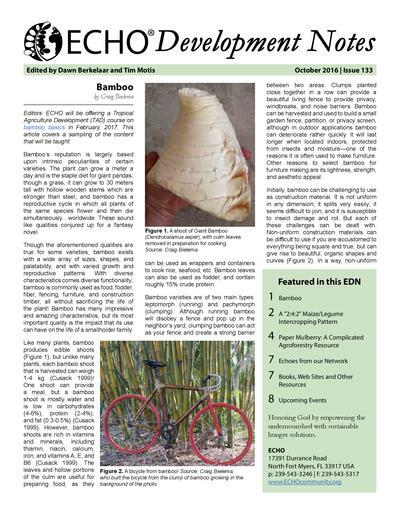 Agricultural Options for the Small Scale Farmer is available for purchase from the ECHO Bookstore and Amazon. 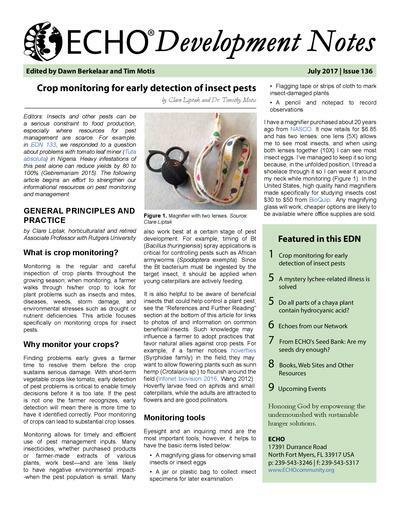 If you would like to browse EDNs via our Index, please click here. 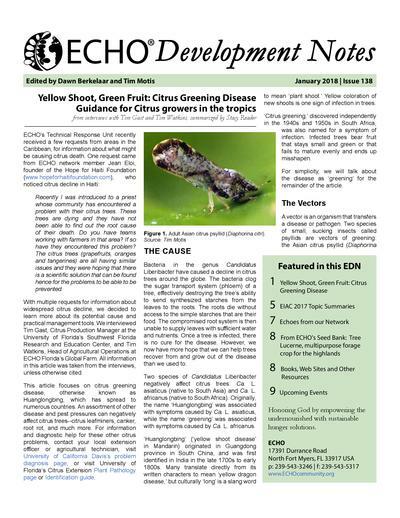 Laurel Wilt Disease: "Save the Guac!" 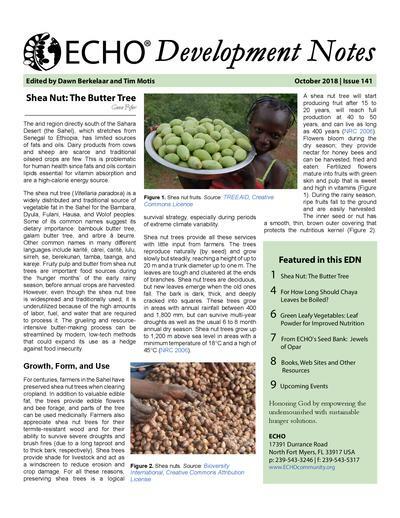 From ECHO's Seed Bank: Are my seeds dry enough? 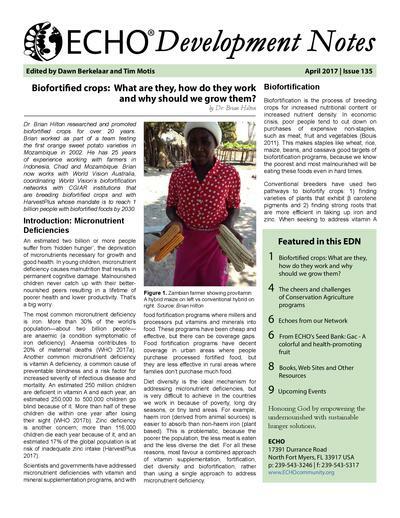 Biofortified crops: What are they, how do they work and why should we grow them?